Nothing like kicking off the very first line of your website with an amateurish grammatical error. OK, so what is a hand resume? And how, exactly, is that hand resume crafted? They meant a resume crafted by hand. Too bad whoever crafted this page by hand didn't, you know, craft it very well. 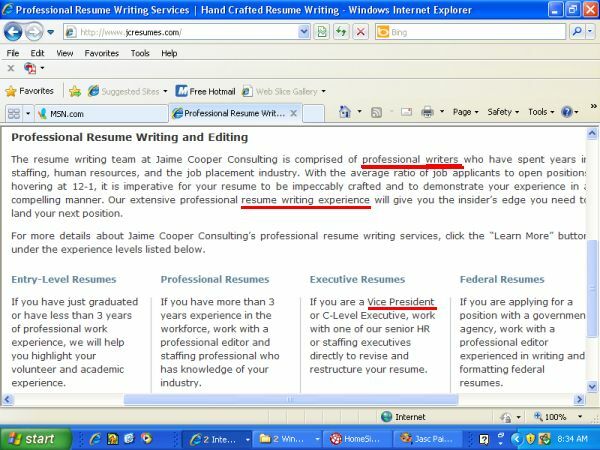 Jaime Cooper promises us professional writing and editing. 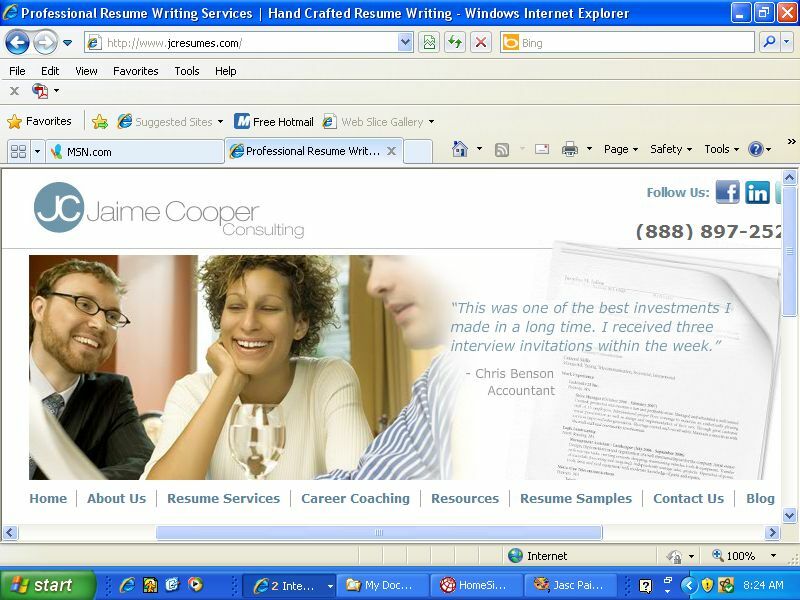 So this resume experience they talk about--what, exactly, is it writing? They meant experience in writing resumes. Look at this sentence near the bottom of their page. This is yet Another example of How you should Capitalize words that you want to Emphasize because those words are Important and you want to make sure that Everyone realizes that Fact. Finally it is résumé, not resume.